Cerebral infectious disorders are notable for their considerable long-term morbidity. The well-known sequelae of cerebral infections include motor disorders, cognitive and psycho-developmental deficits, and visual and auditory impairments. Only recently, however, epilepsy has been shown to be associated with a variety of cerebral infections across several geographic regions. The World Health Organization estimates that there are 50 million people with epilepsy worldwide. Three-fourths of these people reside in resource-poor countries, representing a huge burden. 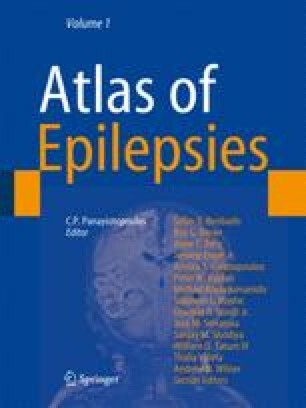 However, it has also been shown that the incidence of epilepsies and unprovoked seizures in some of the resource-poor countries may be higher than incidence estimates for high-income countries (Jallon 2002). We gratefully acknowledge the following people for providing us with the pathological illustrations: Prof. S. K. Shankar and Dr. A. Mahadevan, Department of Neuropathology, National Institute of Mental Health and Neurosciences, Bangalore, Karanataka, India and Prof. Alfonso Escobar, Universidad Autonoma de Mexico, Mexico City, Mexico.